With four campuses in the Phoenix area, an online learning program, and an expanding global presence, the number of ASU’s constituents has been growing at an exponential rate. But when trying to map out its constituent landscape and put together a view of everyone that interacts with the university, ASU recognized several challenges. “We found that people were putting together who they were working with on spreadsheets or in many different databases – or, in some cases, they weren’t even keeping track,” explained Leah Lommel, Assistant Vice President and Chief Operating Officer of EdPlus at ASU. “So how could we ever provide a view of who was working with ASU if we couldn’t even get to the data?” she added. ASU wanted the ability to see all constituents in one place, so it could focus on lifecycle experiences from recruitment through graduation and beyond. The need for a customer relationship management system was apparent. “We decided it was time to implement an enterprise-wide experience, so everyone coming through the university gets a personalized experience and we can serve their needs,” explained Lommel. 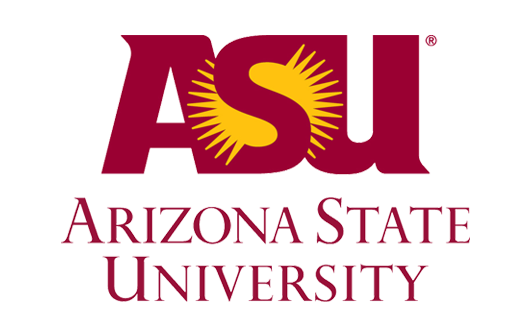 ASU implemented Salesforce with an initial focus on reinvigorating the way it served students. Using the Salesforce Service Cloud, ASU unified student services through its Service Center on the ‘My ASU’ portal. Giving students one online entry point for getting help, students can now find everything they need in the Service Center. Whether they use the self-service knowledge base, make a phone call, chat with someone online, or send an email to get answers, all service interactions are tracked in Salesforce. “We’re starting to meet students’ needs and deliver service in the way that they’re telling us they want it,” said Stacey Lippert, Director for Student-Centric Initiatives. With over 32 colleges, departments, and offices all using the same system to serve students, ASU has solved over 1,000,000 cases in Salesforce and published over 1,000 knowledge articles. Dynamic dashboards have also allowed ASU to set university-wide service goals and measure which departments are and are not meeting them. Tracking average resolution times, the number of open cases, and the number of escalations, ASU can make real-time adjustments to its service strategy. Migrating its 13 mass email systems to Salesforce, ASU began using the Marketing Cloud to communicate with prospective students, current students, parents, alumni, and more. “Having all of the information about a constituent in one place – presented in a logical way – has transformed the way we communicate,” said Burge. ASU can now leverage the 360-degree view Salesforce provides to engage constituents and address their unique needs – without bombarding them with blanketed emails. Creating a unified front for recruiting initiatives, ASU also migrated 14 of its colleges and schools to Salesforce, where over 1.1 million leads are actively managed. Recruiters now have one place to view a chronology of all communications sent and deliver a seamless recruiting experience.